Cantonese cuisine is the forte of Hai Tien Lo, which means stairway to heaven. 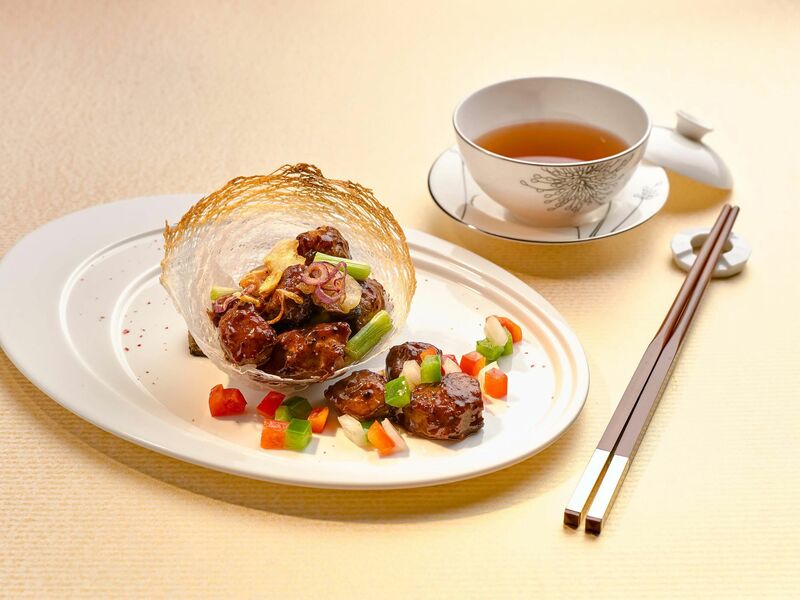 The Signature Trio of Treasures comprises sliced barbecued Beijing duck, pan-fried scallop with minced ginger and foie gras marinated with five-spice. Highly recommended is the delicious double- boiled golden fish maw with bamboo pith in aromatic fish bone broth. With its rich flavour and medium-firm flesh, the steamed king prawn marries well with the delicately thin Inaniwa udon in egg white and Chinese wine. As for the stir-fried chicken with mango and macadamia nuts, it hits just the right notes with its sweet-and-sour flavours. The wine list includes a variety of Chinese wines.